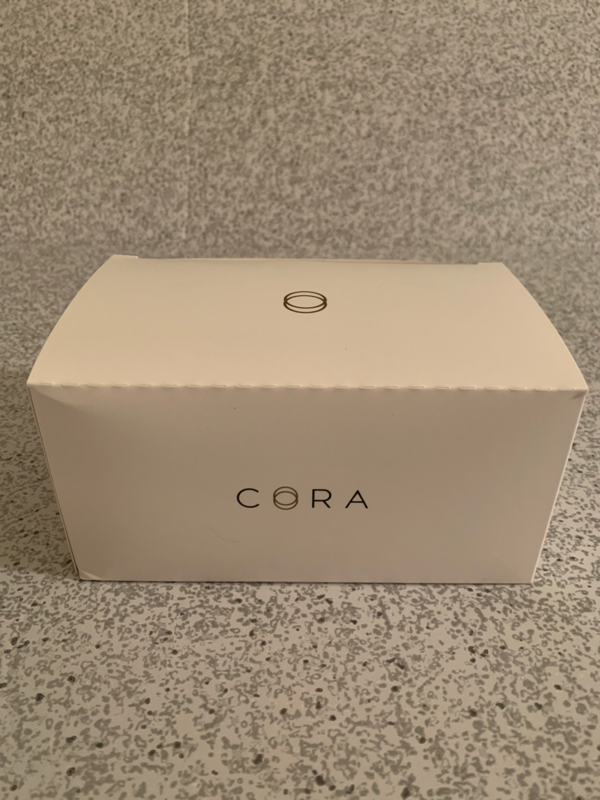 Cora- is a feminine subscription box. With every purchase, part of the proceeds go to women around the world who are in need. They provide them with pads and education. 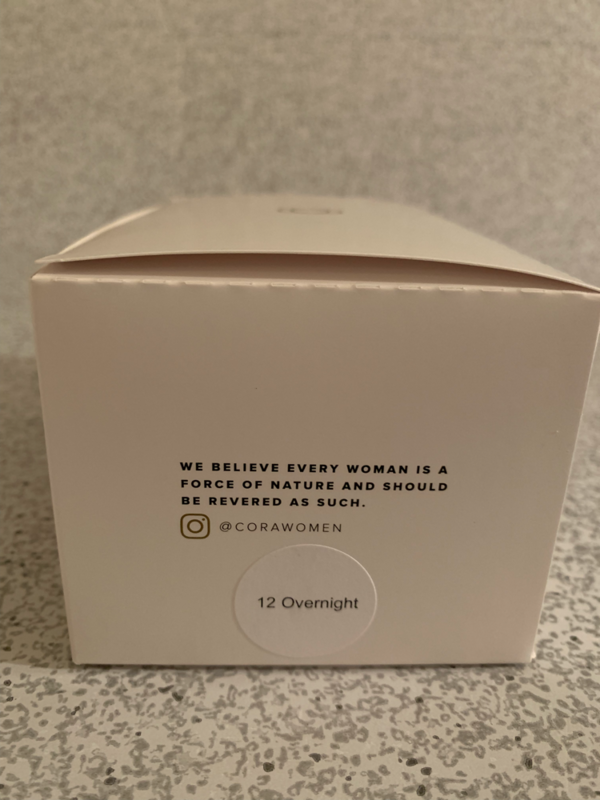 All Cora products are made with pure ethically sourced ingredients. 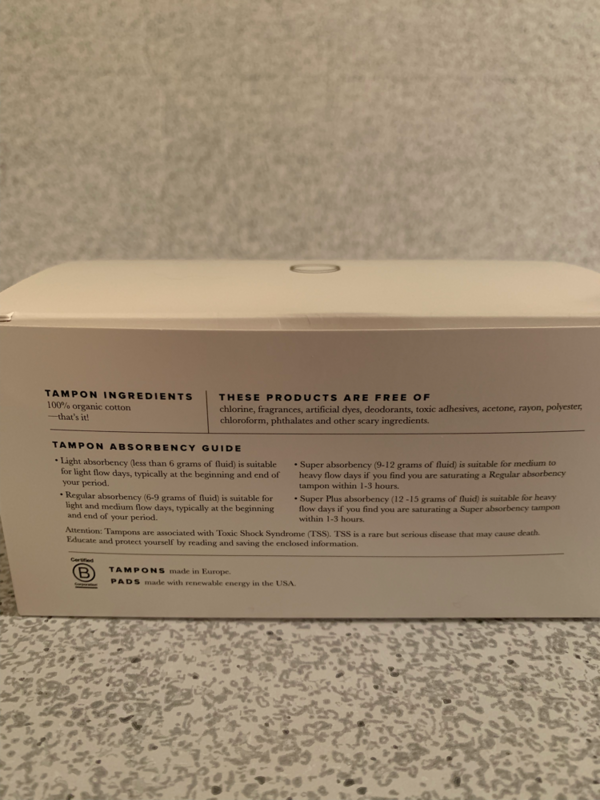 There are three options to choose from: tampons (applicator or non applicator), Pads (period or bladder) and both pads and tampons. The subscription starts at $11.00 that is billed for three months. They only ship to the U.S. Lets get to the box. Each box comes with this insert. The insert tells you what will be included in your next box and who you will be helping with your purchase. 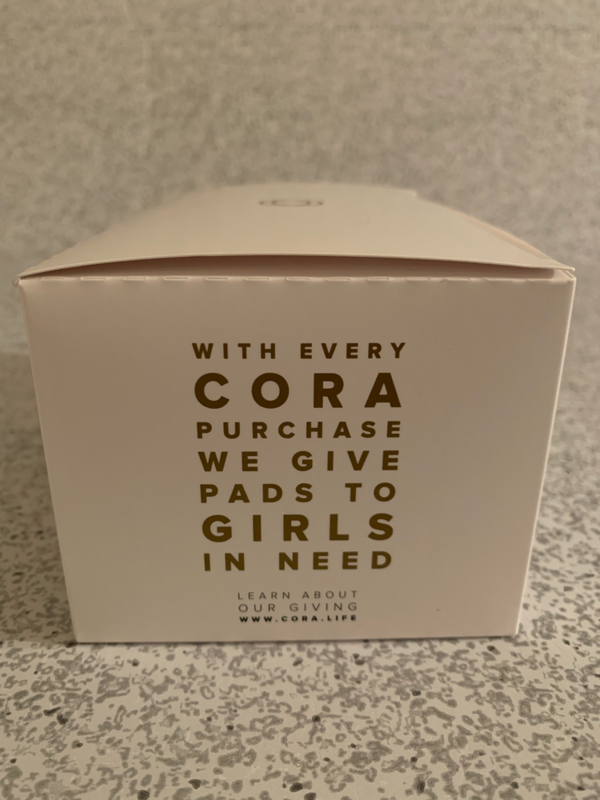 I got the Cora pads and this is the box that everything comes in. 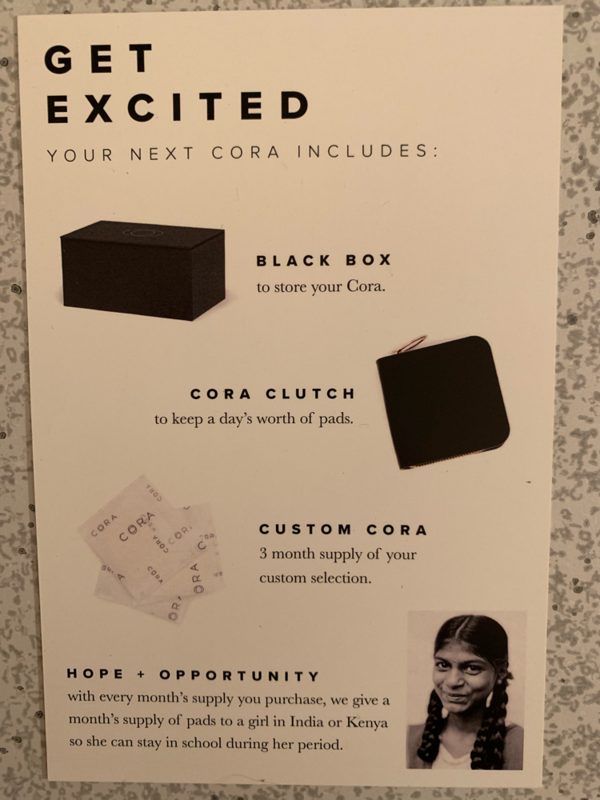 This side of the box talks about how Cora helps girls in need. On the side of your box is a sticker to verify that the correct product is inside of the box. The last side talks about their tampons and pads. 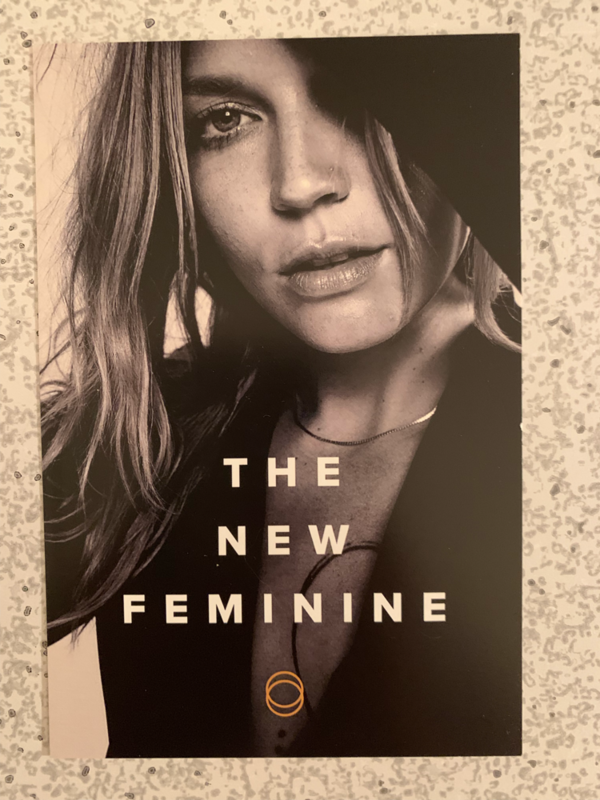 It is mostly information on their tampons. This is the pad wrapped up. 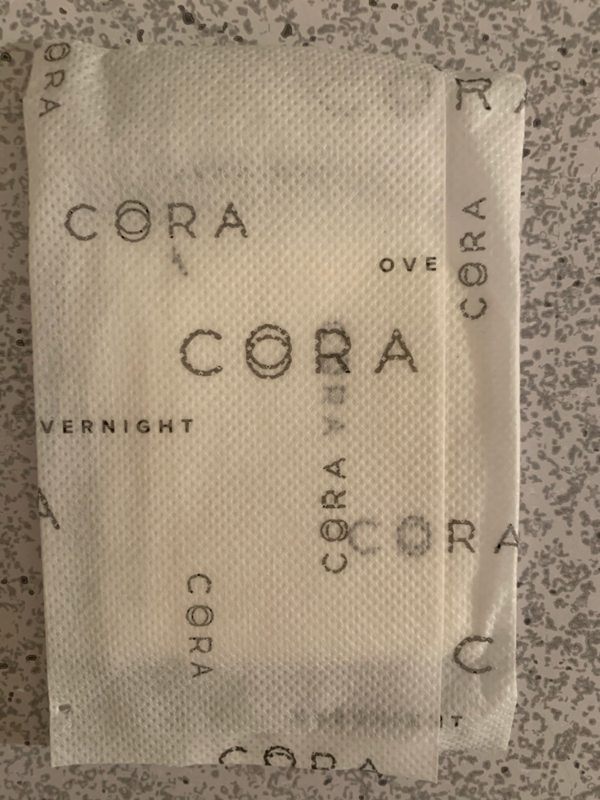 As you can see it is not a plastic wrapping that Cora uses. The outside wrap is a breathable cotton wrap. It is very secure, but not hard to open. I really like these wraps because they do not get all crumbled in my purse. Yes these are the overnight pads. I know that they look very thin and that you would need to change them often on heavy days, but that is not the case. Even though they are thin, they hold a lot. I like that because I do not have a big bulky pad showing through my pants. 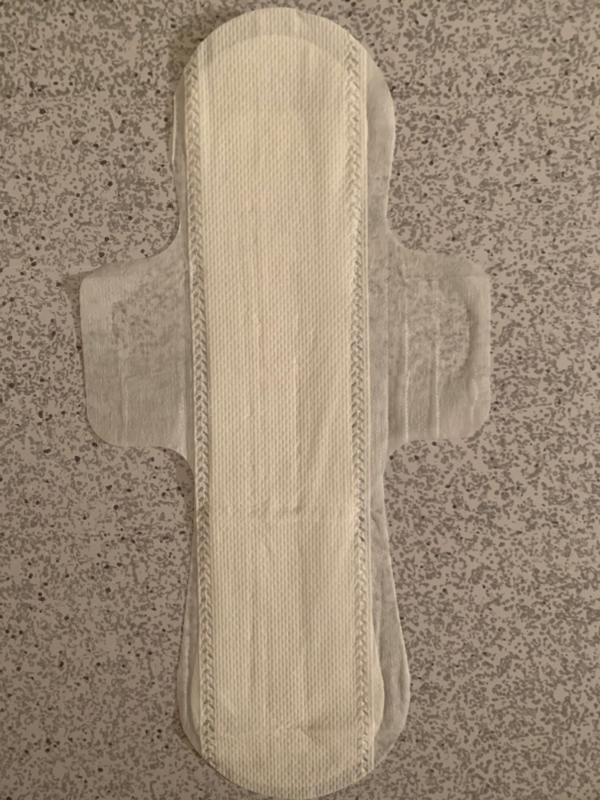 I unfortunately cannot wear tampons, so to find a pad like this is awesome. Plus the wings are just an added plus! To save 10% off your first order, just use the link below. 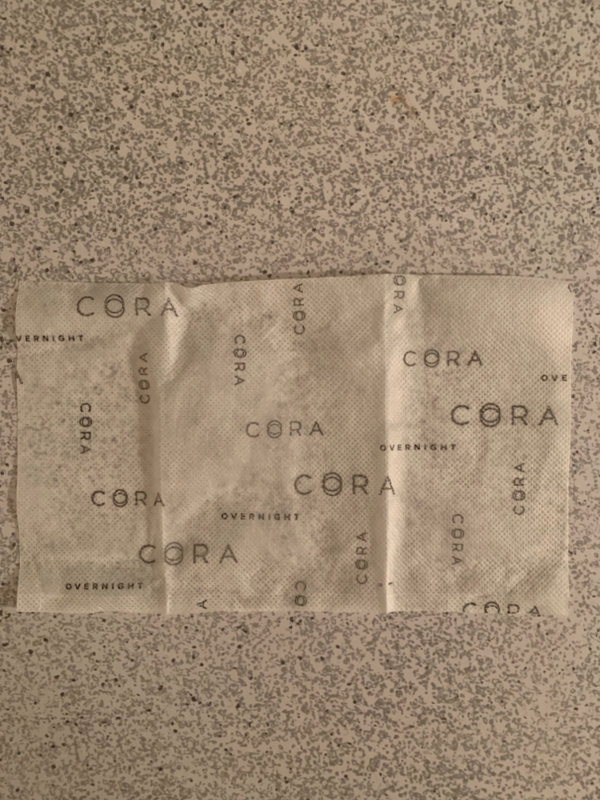 Have you ever tried Cora products? Will you give them a try?